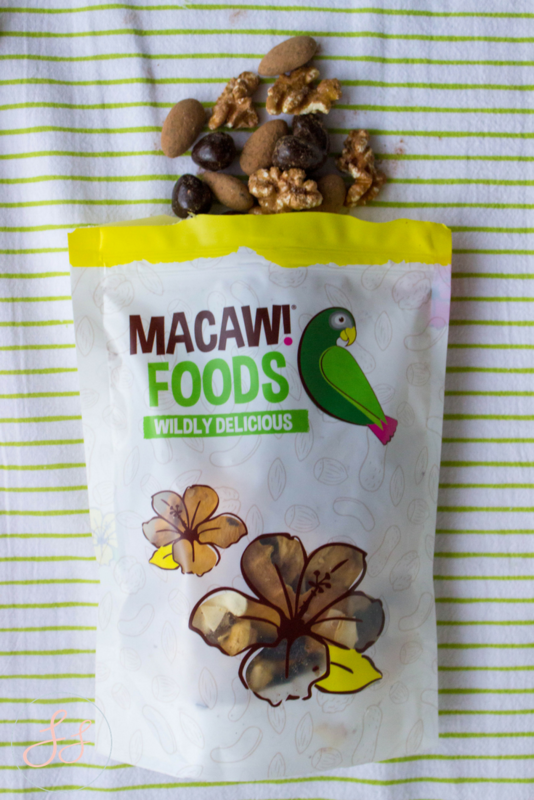 *I was sent these products by Macaw Foods in exchange for a review - Opinions are 100% my own. 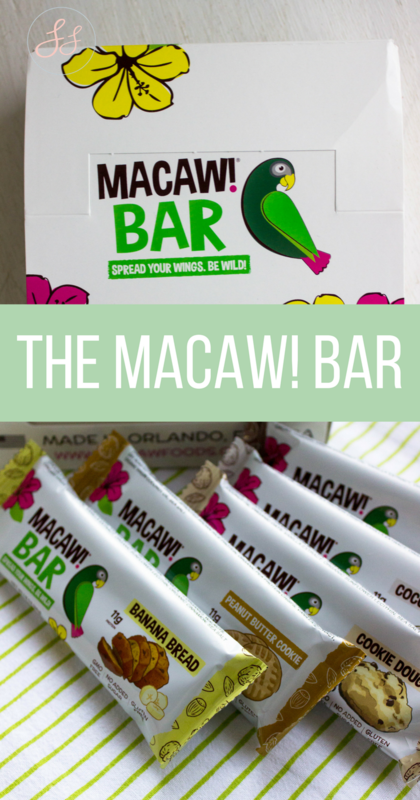 If you loved my post about the Bar Shack, you are going to love this posts about their other brand Macaw Foods! Everything at Macaw Foods is made from scratch and not a third party. They make everything in-house and made right in Orlando Florida. I love the flavors of these bars! They are the perfect decadent bar to bring to events if you are like me and need a little snack! I took a cinnamon roll flavor (my personal favorite) to the local baseball game. 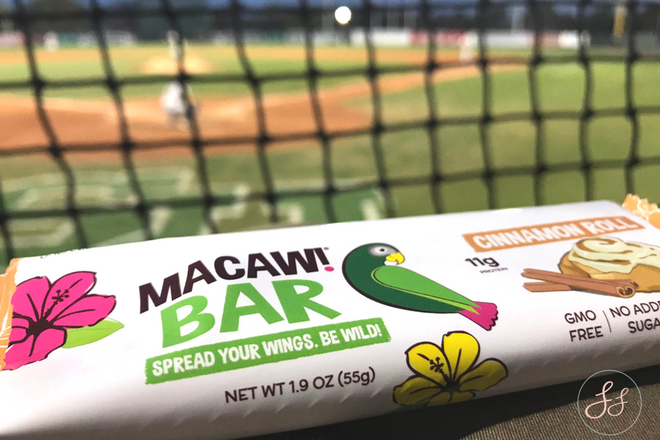 It was the perfect in-between inning snack. Other flavors include cookie dough, banana bread, coconut husk, chocolate brownie, and much more! The husband has taken one to work every day. We both agreed these bars have the perfect amount of protein, calories, and nutrients to get you through the day. I also got to try a mixture of some of their Snacks and Goodies. And Oh Em Gee. The DARK chocolate covered cashews were my jam. I don't think they are gonna last much longer in my house! 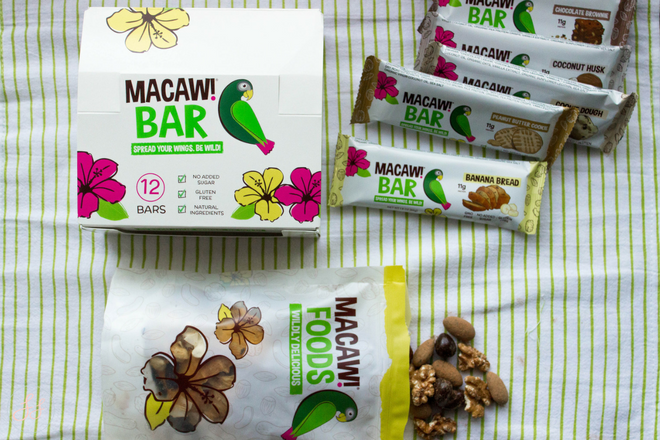 Thanks for the goodies Macaw Foods!